More and more companies have realised that keeping employees healthy has a positive impact on their bottom lines. Some of the reasons companies have become attuned to their employees’ health and wellness include: health care cost savings, improved productivity and decreased sick leave. This embrace of employee health and wellness has led to companies starting wellness programs to help employees stop smoking and lose weight, preventive health screenings, even on-site fitness centres. Offering your employees fitness-related promotional products is an excellent way to complement or jump-start your company’s wellness program. Food and Fitness Journals – Journals that allow users to track daily exercise routines and food intake, including calories, fat grams and carbohydrates. Fitness Towels – Customisable light, ultra-absorbent towels available in a variety of sizes, colours and materials such as microfiber or cotton. Pedometers – EmbroidMe offers a range of pedometers, from those that just measure steps to those that measure steps, miles, kilometres and calories and include wireless technology that transfers data to a smartphone, tablet or computer. Sports Bottles – Available in a variety of sizes, colours, designs and materials, these eco-friendly alternatives to non-reusable water bottles are sure to keep your employees and clients hydrated. With custom promotional fitness and wellness products from EmbroidMe you can promote your brand while encouraging your employees and customers alike to embrace a healthy lifestyle. 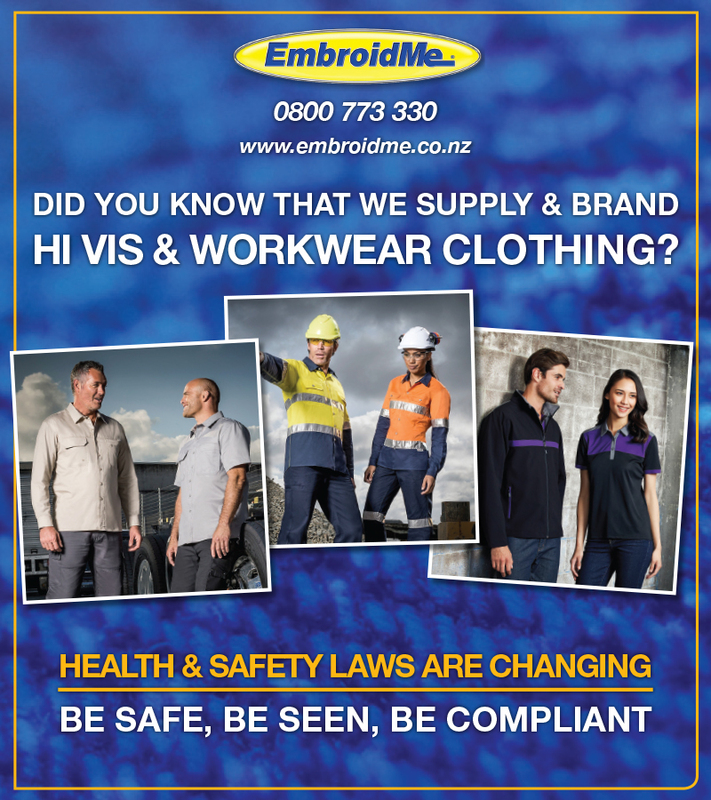 Health and safety laws are being discussed in parliament and will likely bring changes to legislation, so our focus over August and September is all about workwear. Workwear includes more than hi vis, in fact it incorporates retail, hospitality, and trades uniforms. Staff must be comfortable while at work and they require a uniform that perfectly caters for the industry they are in. Give us a call today to discuss different workwear options to suit your business. 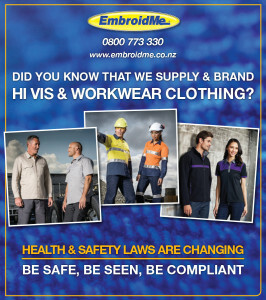 Furthermore when you call us, ask about our special workwear offer as you may be eligible! Visit our website for more information on workwear clothing or to find your nearest store! There are a lot of misconceptions about promotional marketing and promotional products that can scare of SMBs that are new to this form of marketing. Everyone has received some kind of item branded with a company’s logo and/or an organization’s message. A lot of people try to argue that these items are thrown away and forgotten, but a study by ASI shows that these items are actually held onto for an average of about six months. Once they are no longer kept by the owner, over half are passed on to another person, continuing the branding impression. Given that people hold onto their promotional items for six months, it’s clear there’s an impression made. And, according to Promotional Products Association International (PPAI) research, 89% of consumers can recall the name of an advertiser whose promotional product they received within the last 24 months. However the kind of impression made is dependent on the type of product and promotional marketing campaign. There are products that are better for greater visibility such as promotional bags, branded apparel and logoed writing instruments that are seen by many wherever they travel and are easily passed on. Products that foster a deeper connection with their recipient include USB drives, wellness items – prized for their utility – and delicious edible marketing. We know marketers love to track return on investment (ROI) – how can you tell if handing out a branded water bottle is even effective? Haven’t you noticed QR codes popping up on everything from direct mail to printed napkins at restaurants? Add a code to your printed koozies! The code can track your prospect back to the koozie you handed out at the green market on Saturday. The same goes for a unique URL. A special web address can lead to a landing page developed specifically for your koozie campaign, making tracking efforts a breeze. Call-to-action (CTA): coupon code for a discount, a gift with purchase, BoGo, make them an offer! And then print it out along with your logo on your promotional products of choice. Customers will mention it and lead you back to the promotional item containing that offer. Tracking number: nothing illustrates ROI like a phone call. Imprint a unique phone number on your products and you’ll know for sure they’re working for their money. Marketers want the most profitable form of marketing – that’s why they track and measure ROI. To understand what is getting them the best bang for their buck, they use a cost-per-impression metric (CPI). Promotional products are actually one of the most cost effective forms of advertising. According to the Advertising Specialty Institute, they have a CPI similar to spot ads on radio or online display, averaging $0.005 per impression. That’s a far better CPI than with prime-time TV and big-time print. The fluidity of these products means your marketing dollars can go a whole lot further. True, you think of promotional products as a way to cultivate customer loyalty but passing out products to prospects is known to be effective as well. In an ASI study, 31% of consumers said they would be likely to do business with a brand after receiving a logoed item – this likelihood increases according to the item itself. Apparel, USB drives and tote bags are big. Anything unique, designed with care is going to increase the likelihood you will win your way into their daily lives. Like any industry, promotional products are constantly evolving to keep up with the latest technology and trends. Every year thousands of new, innovative products are launched at the PPAI expo, which is one of the largest trade shows in the United States – we recently bogged about this year’s revelations here. Promotional products are a $19.83 billion industry, and it continues to grow every year. There are two types of promo companies – you either have a mom and pop shop or a huge company that exists solely as an online store. What makes EmbroidMe stand out is they have combined the pluses of each dynamic. Each EmbroidMe store has at their disposal state-of-the-art technology, decades of experience in the industry and access to over 800,000 items from which to choose—while still delivering one-on-one quality customer service! Contact your local EmbroidMe store to speak with a promotional marketing expert who will personally guide you in the development of your new promotional product campaign. We now live in a crowded marketplace which is saturated with marketing collateral making it hard for marketers and organisations to stand out from the crowd. Market cut-through is achieved through brand consistency in key areas including branded apparel, uniforms, and promotional products. We supply and brand an extensive list of products and reading through lengthy catalogues can be time-consuming. 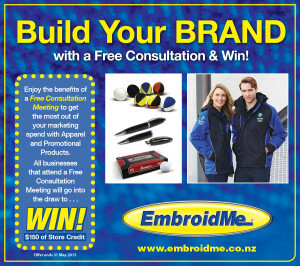 Over April and May we’re offering a free branding consultation to work with you to maximise your marketing spend to ‘Build Your Brand’, and all businesses that attend a free consultation will go into the draw to win $150 of store credit. Stocking your gift shop or boutique with customized clothing is a great way to increase profits, attract attention and boost sales. Customized or custom apparel make an excellent addition to your existing product line and can keep your customers coming again and again. Custom clothing is also great for companies, sports teams and academic organisations such as schools, and tertiary providers. One form of popular customised clothing is team apparel. Outfit the team in your colors and print your logo or symbol on the front with players’ names and numbers on the back. You can get as creative as you want with custom team apparel, imprinting items like small graphics, slogans and custom lettering. The sky is the limit when it comes to customisable clothing for your sports team. And of course, team supporters will want shirts and hats as well! Whether you are planning a uniform program for your office staff or simply want to provide incentives to your sales staff, there is no better choice than customised clothing. Windbreakers, embroidered polos and fleece jackets with your company’s logo can make cost-effective gifts to inspire your sales force. Custom uniforms will help boost your team’s image, encourage healthy competition and increase camaraderie. Custom corporate apparel comes in a variety of styles to fit your company’s needs. 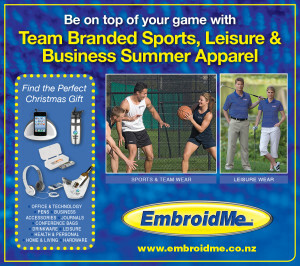 Companies, organisations and retailers have trusted the specialists at EmbroidMe for over a decade. Our network of stores operate in eight locations nationwide and are partnered with various locations abroad. These specialists can assist in identifying and customising products that meet your needs. 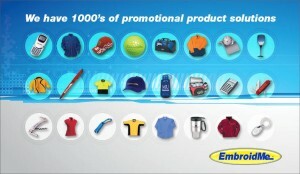 EmbroidMe offers diversified promotional products, custom embroidery and screen printing. 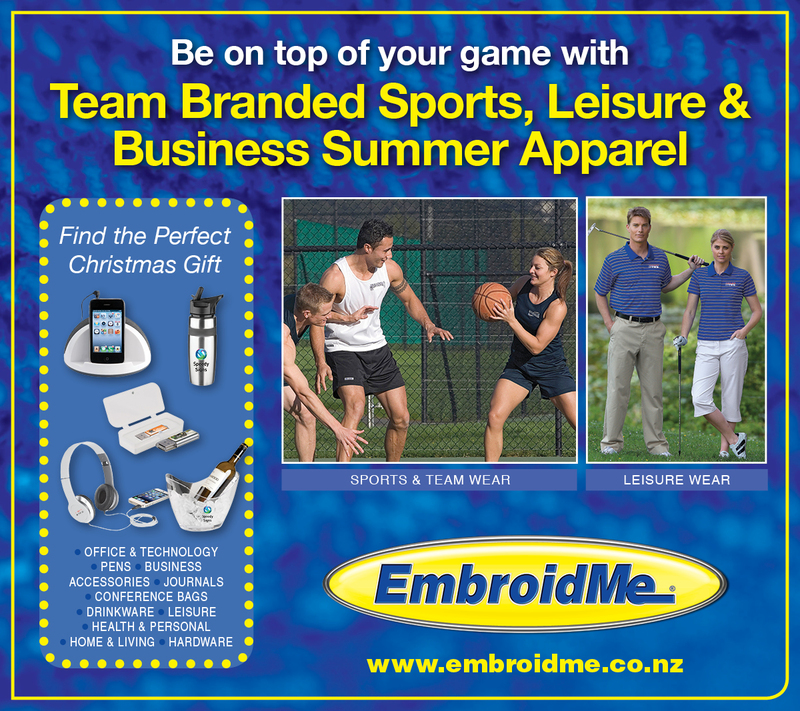 Whether you are looking for customised clothing, branded accessories or apparel, you can find it at EmbroidMe. Contact your local store for a custom quote today. 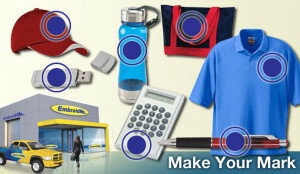 Distributing promotional products is a smart strategy for your business. Give a logoed item to a happy customer and you increase the chances of that person becoming a brand ambassador. When a happy customer wears your logoed cap, t-shirt or backpack, he becomes a walking billboard for your company. 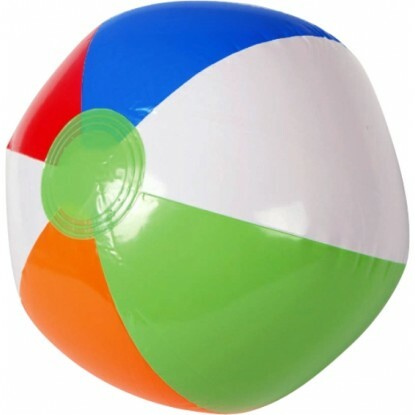 Give a logoed item to a prospective customer and they will likely keep it for several months. Each time they see it, that’s another impression and repetition of your brand’s message. Which company will be top of mind when they are ready to make a purchase? Yours. How do you choose the best promotional product for your business? Consider the recipients and give them an item they will like and will use. Targeting office workers? Choose an item they will use at their desks – pens, USB drives, note pads and mouse pads are items they will use repeatedly, each time reinforcing your brand message. Choose a level of quality and style that reflects your brand. Targeting golf enthusiasts? A polo shirt may be a better choice than a t-shirt. Targeting outdoors lovers? Backpacks, water bottles and sport socks are choices that come in a variety of styles and price points. An item of value and good quality cast the best light on your company. The tasteful design and placement of your logo and message is an important key to developing successful promo products. If your branding is too large or obtrusive, the item will not be used and you’ve defeated the purpose. The specialists at EmbroidMe welcome your questions and have suggestions and solutions at the ready. Allow us to be an extension of your marketing department by working with you to determine the best use of your promotional products budget. We’ll help put those products to work for your business!